The ERPS e.V. and the Institute 15 – Early Music and Performance Practise of the University of Music and performing arts Graz are excited to announce the 7th Biennial Festival from December 7th – 11th, 2016 in Graz. 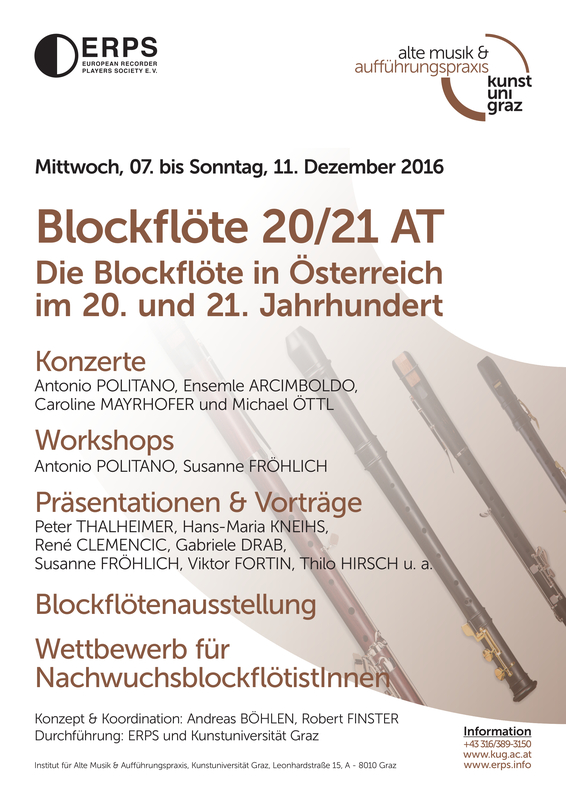 The event will last four days and will take place at the University of Music and performing arts, Brandhofgasse 21, 8010 Graz, Austria.